Please do not open the package with sharp knives in order to avoid damage. We suggest to open it carefully with the scissors or hands. 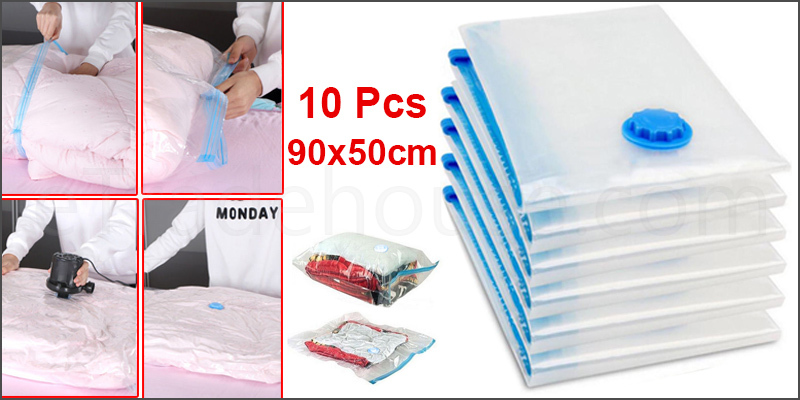 · These storage vacuum bags are great for saving space around the house. · Store everything from blankets, duvets,quilts, curtains, pillows, clothes and more. · Store your items neatly and easily.